How should a country go about establishing itself as a competent figure in the world of travel and military power in space? It’s a tough process: You have to know how to send both satellites and anti-satellite missiles into space. And, according to NASA, you probably should actually know what you’re doing when you do it. 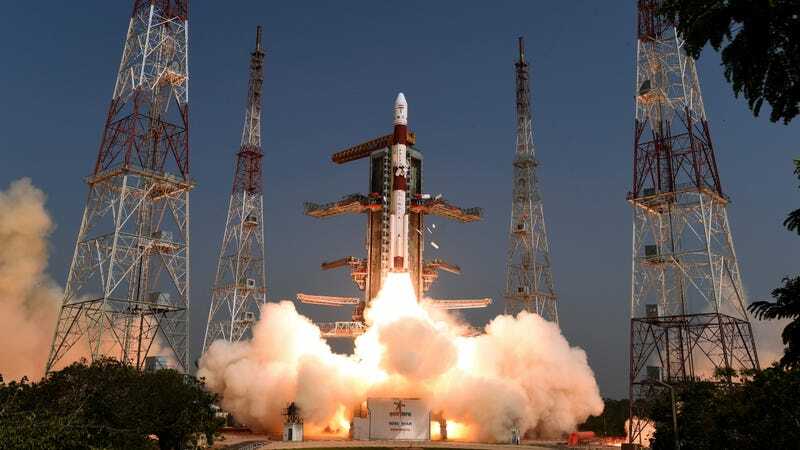 Last week, India launched a missile into space to shoot down one of their own satellites that had been orbiting 186 miles (300 km) above Earth—what’s known as Low Earth Orbit. India’s Prime Minister Narendra Modi fully supported the action—he called it an establishment of India as “a space power,” since space weapons are a sign of an advanced military. Turns out, NASA doesn’t think the whole blowing-things-up-in-space-to-prove-our-competence is a good idea. See, NASA Administrator Jim Bridenstine expressed just how dangerous this kind of activity can be in a town hall on Monday. What we are tracking right now, objects big enough to track — we’re talking about 10cm (four inches) or bigger —about 60 pieces have been tracked. That is a terrible, terrible thing to create an event that sends debris at an apogee that goes above the International Space Station. That kind of activity is not compatible with the future of human spaceflight. Those are some pretty strong—but completely understandable—words. It’s one thing to prove yourself capable of space defense. It’s another when you’re putting other space equipment in danger in the process.